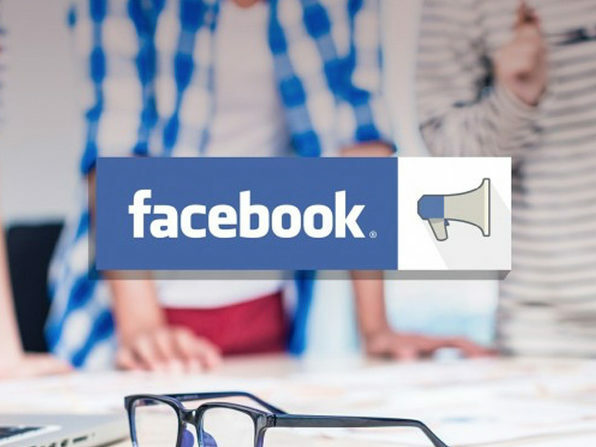 There's no question Facebook marketing is an essential part of any modern marketer's job description. This course will teach you how to profit from Facebook Ads, instead of throwing money at it carelessly. You'll learn how to get a super low cost per click and nail down ways to generate recurring revenue every month. So if you want to make big money with little upfront cost—or just build a strong audience base—this course is for you. Jerry Banfield's goal is to provide his students with practical courses on how to be successful in life. All of his courses feature a down to Earth approach to teaching, with a focus on screen-capture so that you as a student can see exactly why experts in the field are successful. Welcome! What do you get out of this course? Thank you for taking this course! What are you doing on Facebook today? What can you do to get the most out of this course today? $200 contest EVERY WEEK in this course for the best discussion posts! Introduction to Facebook marketing! Learn the basics and see where to start. What is a Facebook profile? How do you make a good Facebook profile? Where do most users on Facebook spend their time? In the newsfeed. What is it? What is a Facebook page and how can you use it? How do people interact with it? What is an event on Facebook and how can you use events on Facebook? 80/20 POWER LECTURE! Learn what you do as a user on Facebook. Facebook marketing basic functions and strategies for success. Which to use? Facebook pages, Facebook groups, and/or a Facebook profile? Using your Facebook profile to add friends and message is easiest to start. Making a Facebook group is the easiest way to build relationships. How to create a Facebook group and start it successfully. When is using a Facebook page helpful? How to create a Facebook page and what to name it for best results. How to make a great Facebook page using videos and making helpful posts. Facebook page insights tutorial! Get to know your audience and engagement. 80/20: What would you be willing to work on every day for free? Introduction to Facebook advertising! Meet the ads manager and power editor! Facebook ads interface basics January 2016. Page post engagement is the objective that performs the best for me. Ads with videos consistently run at the lowest CPM. What is your purpose of advertising on Facebook? 80/20 power lecture: strategies for working on Facebook ads. Live tutorial creating a campaign including placement on Instagram! See how to use the reporting features in Facebook ads to measure your ROI. Tracking conversions on your website is critical for measuring ROI. How to setup a Facebook ads conversion tracking pixel. Work most effectively in the power editor to split test targeting and creatives. Facebook Ad Images Sizes Guide for All Formats. Introduction to the Facebook ads power editor January 2016. Use the power editor to quickly copy ad sets and ads. Test a lot of small ad sets and many ads to find what works best for you. Know what works to get your attention on Facebook and then do that. Focus on Cost Per Action (CPA) completely and ignore other data. Assume you do not know anything and find what works in the data. The 80/20 principle in Facebook ads and marketing will set you free. The best practices that work for me with Facebook ads and Facebook marketing. Uploading videos is what works best for me to get organic engagement. Page post ads for engagement using a video work best for me to get clicks! A little bit of work each day builds a deep relationship with my audience. Asking for feedback in the videos helps me to improve. Entertaining videos work best to promote anything I do. A video introducing a product and fully explaining it works to make sales. The Facebook marketing strategy that launched my business successfully for free! What works for me to make money and grow my business on Facebook? See the $0.01 cost per like Facebook ads I am running right now and why I do it! How to get free conversions, clients, and engagement. Start with Facebook Groups. Here's why! What I have seen work best for local businesses on Facebook are page events. How to verify your Facebook page, change your page name, and page type. What you can do to avoid your biggest failures with Facebook ads and marketing. Deeper into the Nov 2015 Facebook ads interface and the power editor. Facebook page post format I use for website conversion and post ads. Creating an ad for post engagement using a page post targeted to your audience. Power editor tutorial: Creating an ad for website conversions using a page post. Analyzing page post and website conversion campaigns August 25 2015. August 25 2015 power editor tutorial with website conversions using a page post. Facebook ads for video views using a page post with the power editor. Creating a Facebook advertising campaign for website clicks in the power editor. October 2015: Making Facebook ads for conversions, revenue, and building groups. Conversions is the objective that usually gets the best results. Sharing a complete story with no picture in a post gets good feedback. Combine a little text, a link, and a simple video for best results. Build a free Facebook group through your website for ongoing relationships. Without proof of results, why keep running the ads? Facebook page like ads for both $0.01 global likes and $0.13 targeted USA likes. How I am doing likes for my Facebook page July 7 2015. The Facebook ad I am using to promote my page is for building relationships. Targeting settings for low cost likes and using reports to find what works. Creating similar ads quickly for Facebook page likes split tested by ad set. Making more USA ads targeted to friends in specific states and with interests. Facebook ads system for getting great results simply through effort and testing. Eliminating 20 percent of the worst Facebook ads campaigns for likes. Facebook ads for a guaranteed win using a YouTube video post conversion ad. What I am doing with my own Facebook ads today June 27 2015. How I make a page post with a YouTube video that I will use as an ad. Facebook page post ad created quickly with remarketing. Backdating a post and hiding from newsfeed to use as an ad. Using the power editor to quickly make new ad sets for post engagement. Using the power editor export and import to mass change ad sets. How I make 50 ad sets in the power editor in 8 minutes. Analyzing the data and pausing the bottom 50% of ad sets to improve performance. The real work in Facebook ads is sorting through the data to find what works. 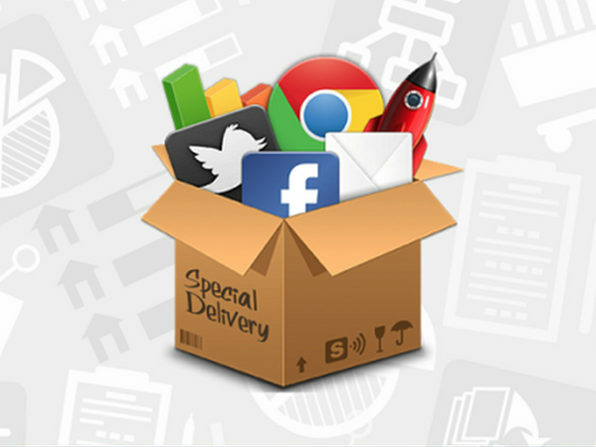 Using Facebook page post engagement ads to make a website conversion campaign. Creating a new Facebook ad campaign in the power editor for conversions. Facebook ads reports in September 2015. Comparing results by objective! Facebook audiences. How to create and use audiences in Facebook ads. Introduction to audiences in Facebook ads. Facebook ads audience types: custom, lookalike, and saved. Customer list custom audience creation in Facebook advertising. Website traffic custom audience creation for remarketing. Custom app audience from people liking my page using my page plugin. How to make a saved audience to speed up targeting with Facebook ads. Using audience insights to learn more about your audiences. Using data to create a custom targeting audience for low cost post engagement. Retargeting ads on Facebook using custom audiences and a pixel on your website. Introduction to Facebook retargeting and what you should know before you start. How a local business can be successful on Facebook with ideas and case studies. Overview of success strategies for Facebook for local businesses and audiences. How to get people talking about your business locally on Facebook. Advertising locally on Facebook is challenging. Here is what might work for you. How to do branding with page posts for a local business on Facebook. Getting likes for your local business page with Facebook ads. The importance of finishing setting up your Facebook page and adding address. Reviews on your local page are nice but not something to get upset about. 3 mistakes to avoid when doing your Facebook page for a local audience. $0.00 Facebook post engagement ad formula based on what I am doing now. How to add a Facebook conversion tracking pixel to my WordPress website. How to make a Facebook page post engagement ad for $0.00 cost per click. Using the power editor to quickly copy my ad campaign to target USA+ countries. $0.01 Facebook post engagement in the USA, Canada, UK, and AU. $0.00 Facebook page post global engagement optimization and report analysis. 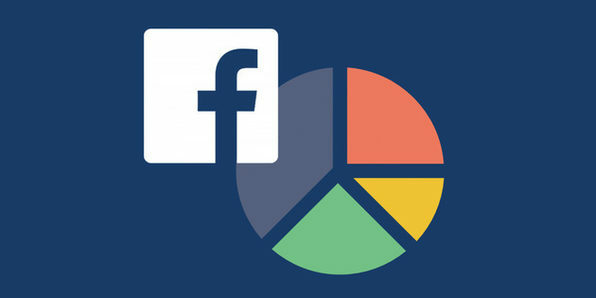 $0.00 May 2015 USA Facebook Ads for Post Engagement, Video Views + Conversions. Facebook ads May 2015 for low cost post engagement with a video ad. How to make USA Facebook ads post engagement ad sets fast for the lowest cost. How to find the lowest cost interests and demographics in the USA fast. 9,000+ impressions expected for $2 per day Facebook ad budget in the USA! $0.00 Per Post Engagement with USA Facebook Ads May 2015.
Review of low cost ads for one video and plan to create ads for all videos. Creating multiple video post ads in one ad set for split testing one conversion. Creating Facebook page post video ad campaigns split tested on a landing page. Facebook Marketing Fundamentals from Creating a Page to Making Great Posts. How to use Facebook marketing for profits. URL shortening with a custom bitly: how and why to do it! Facebook Business Manager Introduction and Setup. Facebook Business Manager Setup Step by Step instructions. Boosted Post Ads for a Free Offer Maximizing Engagement, Clicks, + Conversions. Building a promoted post for a free offer full tutorial. Using the ads manager to make similar ads for a boosted post clicks. Power editor post clicks to website ad sets. Creating a paid offer post on my Facebook page in the January 2015 interface. Ads manager post creation and scaling for paid offers. Scaling Post Website Clicks with a Power Editor Campaign. Power Editor Overview + Conversion Post Creation in the December 2014 interface. Power Editor Global Conversion Ads Fast from December 2014. Analyzing power editor campaigns for conversions. Second wave of ad sets created quickly after analysis. Successful Facebook Ads Campaign Case Study with Analysis. 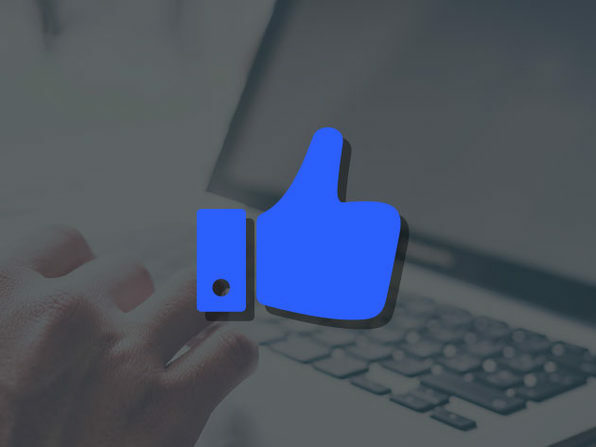 $0.01 Facebook Page Likes and $0.00 Facebook Page Post Engagement Strategies. Targeted Page Like Ads Split with Website Ads October 2014. Targeted Page Like Ads Split with Website Ads follow up. Analyzing my boosted post with Facebook reports. Thank you for being a student here with me! What next? Facebook advertising country list for high sales and low cost likes PDF. Get Free Facebook Likes and Shares with CoPromote! What to do when your Facebook ad gets "Not Approved" and how to get it approved! Facebook Ads Account Disabled Solutions and discussion. US Facebook ads stats and lowest cost clicks student question answered. Making your squeeze page with LeadPages (net). How to connect with other students to maximize your learning! Bonus Material: Retired Lectures Replaced By New Lectures. How to ask questions, talk to other students, and contact me. Using a page post as an ad with the power editor works consistently. What am I doing on Facebook today to promote myself? June 15 2015. Where to get started with the video lectures? How to quickly create the first ad for maximum engagement. Continuing to try on Facebook ads is normal and is what I am doing in June 2015. What you can do to maximize the usefulness of this course. What value do you get of this course? What does the course include? Learn anything you want to about Facebook ads and marketing here! What I am "on" and "off" for Facebook ads (original removed version). How to get a new Facebook cover photo designed simply by 40+ designers. What value do you get out of this course and what does it include? What am I doing on Facebook today and how did I get here with you? Quick overview of the newest interface August 2015. Continue learning with me in 40+ more Udemy courses! Bonus lecture with $9 coupon codes to the rest of my courses!